The building search continues for Brush Park Gymnasium. We are busy looking for a space within the Lincoln Square, North Center, Ravenswood Manor and Bowmanville neighborhoods of Chicago. Recently we took a look at an interesting space on Montrose Ave. in Ravenswood Manor. We then visited the location a second time to evaluate build out costs with our architects Liz and Ryan Hayes at Hayes A + D.
After careful assessment we decided the building was located too far from our target area. As a new business we want to be located in the most convenient location for our families. We want to eliminate as many obstacles as we can so that getting to the gym is one of the easiest parts of your day. We want to pick the best location that meets the needs of our families. 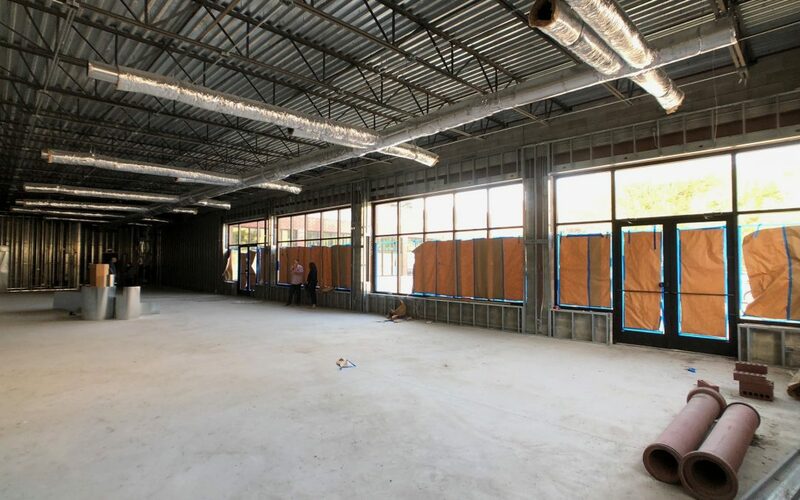 This means a large enough space for group exercise classes for adults, an indoor play space for kids, family bathrooms, and plenty of parking. Brush Park Gymnasium is more than a gym. It is a place for families to socialize, play and build a supportive environment based around health & wellness. That is why we want a large enough space for a cafe area that serves fresh coffee and healthy snacks. This area will be the key meeting place for Brush Park Social which will host health & wellness events for our families. We know that as parents we are constantly juggling and finding time to exercise can be difficult. That is why our cafe area will be a great place for you to use our free wifi to check up on work email or finish up that presentation. Enjoy the convenience of our high quality childcare and indoor play space supervised by our professional staff so that you can have some time for yourself. We are working with a fantastic team of Yehuda Cohen and Liz LaTour at Dream Town Realty. If you know of a perfect space for our business or would like to work with Brush Park Gymnasium then reach out to us at hello@brushparkgym.com or contact our brokers.